Chosen by the most demanding ones ! Produced with high quality products, the TabStore secured kiosks have a harmonious design and are easy to install. 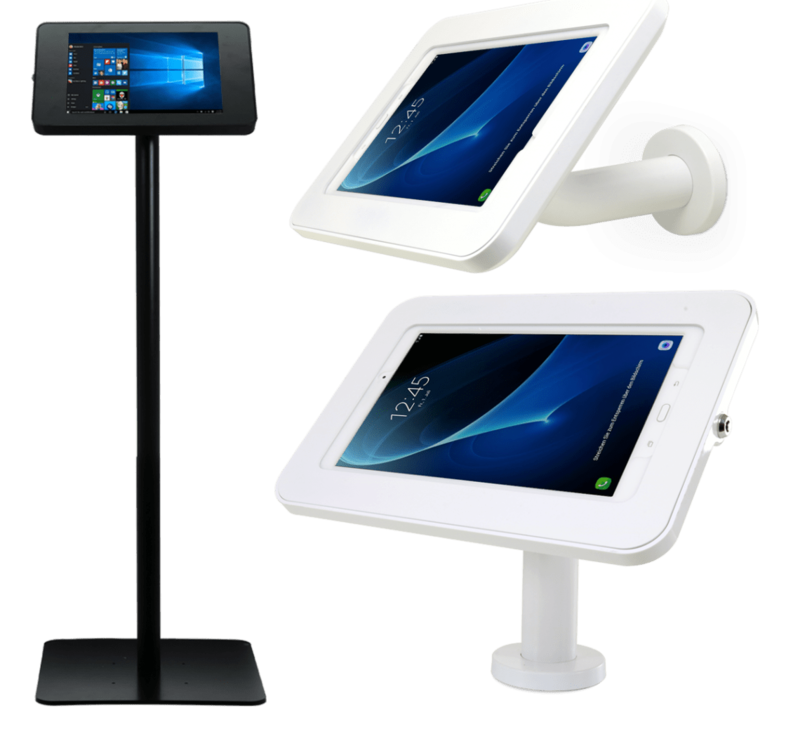 Adapted to any places, our free standing, counter or wall kiosks are adjustable to any iPad and Samsung Galaxy models as well as all Android and Windows tablets. An evolutive and adapted solution TabStore for any model of tablet ! Just press the button for locking. For a quick access to the tablet. To make it safer, the back of the case is equipped with an antitheft Kensington slot. Interchangeable acrylic frame with or without access to webcam and home button. Ultra-resistant protection against shocks and scratches. For tablets 7" to 13". ABS plastic injection enclosure secured by push'n lock system. 7-9" / 9-11" / 11-13"